This Thanksgiving season, a short sentence from Paul’s letter to the Colossians has been stuck in my head: “And be thankful” (Colossians 3:15). In yesterday’s post, we explored the first word and. And encouraged us to see how thanksgiving is related to every aspect of the Christian life. There is always room for more, and thanksgiving is the one thing we can add to the gospel. In today’s post, we move from a three-letter word to a two-letter word: be. The word be is a command in Colossians 3:15, as in, “Be quiet!” or “Be patient!” What does Paul mean when he commands us to be thankful? For instance, it would be nonsensical for Paul to command us with the words “Be a miniature pony!” or “Be purple!” or “Be wooden!” In order to command a state of being, it has to be congruent with our nature. For Paul to say, “And be thankful,” he must assume that we are thanks-givers—meaning that we are able and willing to offer up thanks to God. The problem is that Romans makes it plain that we are not thanks-givers in our natural state: “For although they knew God, they did not honor him as God or give thanks to him” (Romans 1:21). We do not and cannot be thankful in the flesh because fallen humanity is a thankless people. We do not give thanks—by definition. Which must mean, then, if we have any hope of obeying Paul’s seemingly simple command, we must become thanks-givers in Christ. Now we are thinking after the thoughts of Paul. He assumes that the only way we can be thankful is through Christ Jesus: “And whatever you do, in word or deed, do everything in the name of the Lord Jesus, giving thanks to God the Father through him.” (Colossians 3:17) If we have any hope of being thankful, we have to become thanks-givers in and through Jesus Christ. The more we think about this, the stranger the idea becomes: Jesus, the…Thanks-Giver? He’s the Son of God. “He upholds this whole universe by the word of his power,” and, “The earth is his and the fullness thereof” (Hebrews 1:3; Psalm 24:1). What does Jesus have to be thankful for? However, when we look into the Gospels we realize, by golly, it’s true. Jesus is a thanks-giver. His prayers start like this: “I thank you, Father, Lord of heaven and earth…” and “Father, I thank you…” (Matthew 11:25; Luke 10:21; John 6:11). 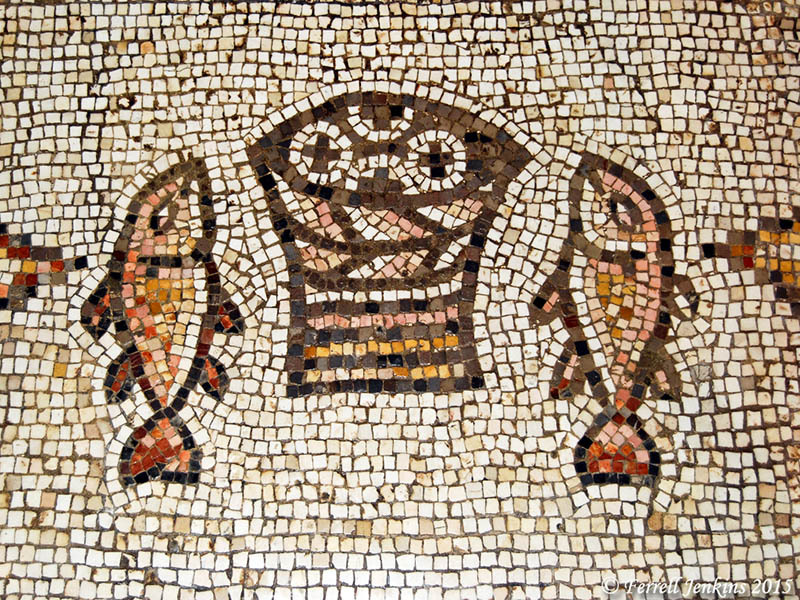 Whenever he sits down to a meal, we see him doing this: “And having given thanks he broke [the loaves and fish] and gave them to the disciples, and the disciples gave them to the crowds” (Matt. 15:36; 26:27;Mark 8:6; 14:23; Luke 22:19; John 6:11). Every time we turn around, Jesus is preparing a table, giving thanks, breaking bread, and feeding people. His ministry in the Gospels feels quite similar to our holiday season; Jesus spends it in thanksgiving and feasting (Luke 7:34). This is no accident. It’s a tradition in many homes that the host says grace. The one seated at the head of the table offers up thanksgiving on behalf of those gathered to eat. For instance, both Homer’s Iliad and Odyssey feature a heavy amount of feasting—and thanksgiving. Being pagans, the heroes of these epic poems make speeches and raise their glasses to the pantheon of Greek gods, often giving a tithe of the spoils as a thank offering. Susan Sherratt writes that this kind of thanksgiving feasting is actually a signal to listeners as to who the true heroes are: “It is clearly not only an activity of Homeric heroes, but also one that helps demonstrate that they are indeed heroes.” In ancient Greek literature, heroes feast. Taking Our Seat at HisTable. That is the reality into which Paul encourages us, “And be thankful.” He assumes that we have become thanks-givers. The peace of Christ the King now rules in our hearts where there was once rebellion and hostility. The word of Christ the King now causes psalms, hymns, and spiritual songs to well up in our hearts where there was once emptiness and hatred (Colossians 3:15-16). We who were once thankless now find that thanksgiving is all we now have to offer. The only true thanks-givers in the universe are those gathered at the table of our King. We have joined in the victory celebration around Christ’s table in his Kingdom. Brothers and sisters, what else can we be? And be thankful.